The demand within the global market for beetroot powder has been rising alongside advancements in the cuisine-preparation domain within the food sector. The use of beetroot powder in a range of recipes and preparations has created tremendous demand within the global market. The taproot of a beet plant is known as beetroot, and is also known as garden beet, red beet, and table beet. The abundant availability of beetroot across a number of regional pockets has led to its popularity across the globe. Furthermore, a tremendous volume of beetroot cultivators have emerged in recent times. This factor is also expected to bring in voluminous revenues in the global beetroot powder market. The health benefits served by consumption of beetroot are behind the growth of the global market for beetroot powder. When beetroot is converted into beetroot powder, the nutritional value of the original beetroot is retained in the powder. Hence, beetroot is replaced with beetroot powder in traditional cooking recipes. This factor has played a major role in the growth of the global beetroot powder market. Moreover, presence essential minerals, nutrients, antioxidants, and dietary fibers in beetroot powder has also played a crucial role in market growth. The market for beetroot powder in North America has been rising at a stellar pace in recent times. The origin of beetroot can be traced back to the North American region, and this factor has contributed to regional market growth. Moreover, knowledge of its nutritional value amongst the masses has also led to the popularity of beetroot powder in North America. This report on the global beetroot powder market is a comprehensive market intelligence study that brings forth the lucrativeness of the said market. Beginning with an executive summary that comprise a snapshot of how the demand for Beetroot powder has evolved over the recent past and where is it headed to in the future, the report delves into the analysis of various market dynamics, such as opportunities, trends, challenges, and drivers. A detailed overview of the said market with the analysis of porter’s five forces has been provided in a bid to present a concise and clear landscape of the market vendors to the readers. The market intelligence study also points at mergers, important conglomerates, numerous research and development activities, acquisitions, and corroborations. The said publication allows market stakeholders to study the market in detail and carefully and take well-informed decisions so as to optimize profit and minimize cost. 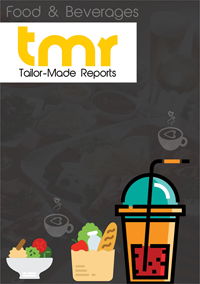 The world market for beetroot powder is expected to grow at a robust CAGR and is anticipated to attain a significant market valuation by the end of the period of forecast. Beetroot is also comes with names such as garden beet, table beet, red beet, and golden beet. Beetroot is utilized as a sweetening agent as it comes with more sugar than any other vegetables. When dried beetroot is milled or grinded, beetroot powder is obtained. The beetroot powder makes an offering of flavor and color to many food products. The beetroot powder is comprised of betaine phytochemical which is very helpful for the proper functioning of the system of cardiovascular and also assists in the processing of amino acids by kidney and the liver. There has been a rising demand for the beetroot powder in the segment of food and beverage. It is widely believed that one tablespoon of beetroot powder is equal to one beetroot when it comes to nutrition. In the food industry, the beetroot powder is also used as a taste enhancer, flavoring agent, and to add colors to various food products. Consumption of beetroot powder is increasing amongst the younger population due to the health benefits that beetroot powder offers. There is an augmented use of the beetroot powder in various fast foods such as pizzas and burgers for the purpose of enhancing the flavor and adding to the nutritional value, thereby bolstering its demand. The beetroot powder is also being used in the cosmetic industry due to its higher antioxidant content thereby propelling the demand of beetroot powder. The market vendors have been forecasted to obtain new opportunities as there has been an increased emphasis on spending more on the work of research and development by many of the beetroot powder manufacturing companies thereby triggering further growth of the said market. In addition to that, many of the market participants are anticipated to make a foray into the emerging economies that are yet to be explored so as to find new opportunities. The geographical segmentation of the global beetroot powder market is diversified into Western Europe, Eastern Europe, Latin America, North America, the Middle East and Africa, and Asia Pacific. The major beetroot producing regions are United States, Russia, Germany, France, and Ukraine. Due to the cold climatic conditions, the cultivation of beetroot becomes favorable. Australia is one of the major consumers of the beetroot powder. This is owing to its increasing consumption in various food products such as burgers and soups. A few leading players that are operating in the world market for beetroot powder market comprise eminent names such as Botanical Ingredients Ltd., Yesraj Agro Exports, Super Sprout LLC & Juices International Pty Ltd., Go Superfood, Bioglan, Radiance Ltd., Nature's Way Products, Natures Aid Ltd., and others.